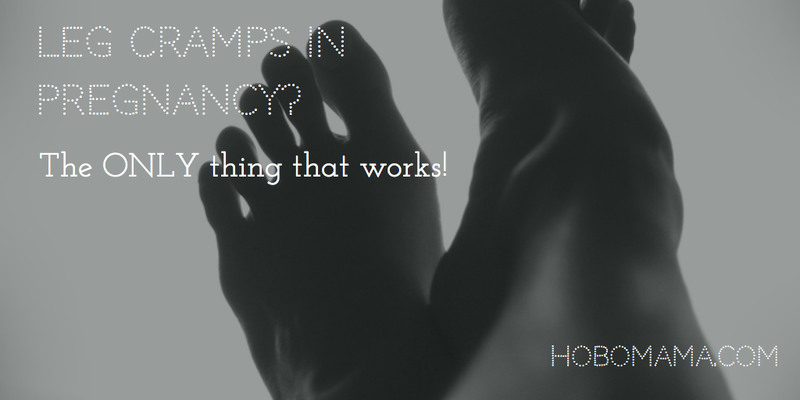 Hobo Mama: How to prevent leg cramps during pregnancy: The ONLY thing that works! How to prevent leg cramps during pregnancy: The ONLY thing that works! When I was pregnant, each time there were nights when I'd wake up in the middle of the night with a charley horse in my calf, leaving me gasping in pain and shock and unsure what to do to fix the problem. 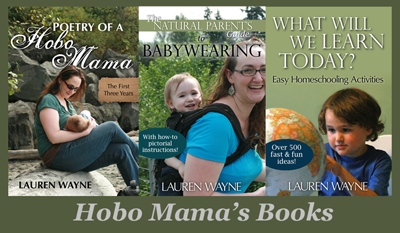 By my third pregnancy, I knew just what would solve it, and I want to share that with you in three simple steps that are really just one step broken out into three parts. Because I love to complicate things. In my first and second pregnancies, I researched why pregnant people get leg cramps and what I could do to prevent and remedy them. I tried stretching. I tried more activity. I tried less. I tried warm baths. I tried magnesium supplements. I tried massage. Nothing seemed to affect whether I got the cramps, how often they came along, or how severe they were. If I couldn't get the cramp to go away quickly, my calf would be sore for days after a cramping episode. But now I know what to do! Bam. That's all. But let's break it down, shall we? Go to sleep with your feet flexed. By flexed, just to make sure we're all on the same page here, I mean pull your foot up toward your knee rather than pointing your toes. When you're lying in bed, try to position your feet into a comfortable flexed position. It's natural to want to point your toes while you're falling asleep. The weight of the blankets encourages them into a pointed position. Use that blanket weight to your advantage by trapping your feet into a flexed position instead. It doesn't need to be extreme, just not pointed-toe. If you use a body pillow or knee pillow and sleep on your side, your pillow weight and body weight can help keep the bottom foot nicely flexed. When you switch sides during the night (after your sixth potty run), then you'll have a chance to flex the other. If you wake up with a cramp, flex your foot. Say it with me: Flex your foot. In the pain and panic of the moment, it can be hard to know what to do. Do I stretch my calf? Do I point my toes? Do I rub the muscle? Do I frantically pummel my partner until he wakes up to help me? Only he doesn't know what to do, either! But now you do: Flex your foot. It will short-circuit the cramp. Even if it seems counterintuitive and like you're going to make the cramp worse, flex until the calf relaxes, and it will. If you do this quickly enough, you'll avoid the lingering soreness that results from a prolonged muscle cramp. When you stretch your legs, flex your feet. I don't know about you, but I love a good, long waking-up stretch in the morning. Keep those feet flexed! Yes, I know, it would be so satisfying to point your little toesies as you stretch, but save that pose for when you're not a pregnant mess of twitchy muscles. You'll get to point your toes when the baby arrives. For now — you know what's coming! — flex your feet! I hope this helps someone. I got so tired of Googling about pregnancy leg cramps and receiving the same tired advice that didn't actually do squat. The only thing that worked for me was flexing my feet, and I hope it works for you! Keep in mind that I am not a medical professional, so talk with your midwife or doctor about leg cramps if they're really bothering you or you think you have underlying conditions besides the pregnancy. And I am only one single person, so maybe what works for me doesn't work for you, but flexing your feet is free and worth a try, hey? Best wishes during your pregnancy & beyond! Please pin to help someone else!